Strongly rooted in the laundry service industry, Wholesale Commercial Laundry has the know-how and resources for all your commercial laundry parts and service needs. We understand that when laundry equipment breaks down your production and profits are impacted quickly. That's why our staff is there when you need us most! Wholesale's service department of factory-trained, experienced professionals repair laundry equipment quickly and efficiently – no matter the make or model. We deliver service fast because we know downed equipment severely impacts laundry productivity and/or revenue. Our trained staff is available for FREE phone support too our customers who prefer to fix their own machines. 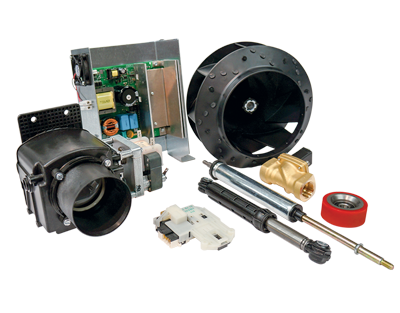 We stock a substantial assortment of parts for commercial laundry equipment. Our fully stocked parts department spans most brands!